January is braille Literacy Month! We thought it would be a great opportunity to share some of the history and fun facts about braille! Braille was invented by Louis Braille. He was born in France in 1809. When he was three years old, he was playing with some tools in his father’s workshop. While playing, one of the tools struck him in the eye and the wound became infected. Eventually the infection spread to his other eye and he became completely blind by age five. The idea for braille as a method of reading for the blind came with Louis’ own frustration as a student. There were very few books available with a raised print solution, but he felt the books were large and bulky and reading them was a slow process. He learned about a system used by the French Army to communicate without using speech or having to use light to write. This night writing system used a series of dots and dashes that could be interpreted by touch. Louis took this idea and simplified it. He made his own alphabet out of a series of six dots rather than 12. He discovered 63 different ways to use a six-dot cell in a smaller area. His first book was published in 1829 and he later added symbols for mathematics and music. 1) Braille takes up more space than the traditional alphabet. so braille books are larger than their print counterparts. The New American Bible is 45 volumes, Harry Potter and the Goblet of Fire is 10 volumes in braille, and Websters Unabridged Dictionary is 72 volumes! 2) Braille is not a language. It is an alphabet that can be used to write almost any language. 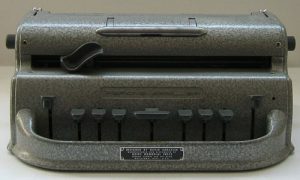 There are braille versions of Chinese, Spanish, Arabic, and many other languages. 3) Most people who are blind don’t know braille. In 2009 a study showed that only 10 percent of Americans with blindness can read braille. That number has since been decreasing with the introduction of smart technology, audiobooks, voice-recognition software, and other technology to read and write. The same study showed that those who did know braille were more likely to attain higher education and be employed. 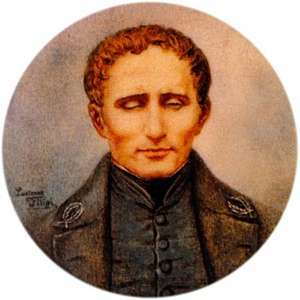 4) Braille is only capitalized when referring to Louis Braille, the inventor of the system. In all other cases, when referring to the system itself, braille should be lowercase. Hope you enjoyed this look at some of the history of braille! Did you learn anything new? Do you know someone who can read braille? Let us know in the comments below! I did learn several interesting facts about the history of braille! We can only capitalize braille when referring to Mr.Braille or at the beginning of a sentence as in point #4.